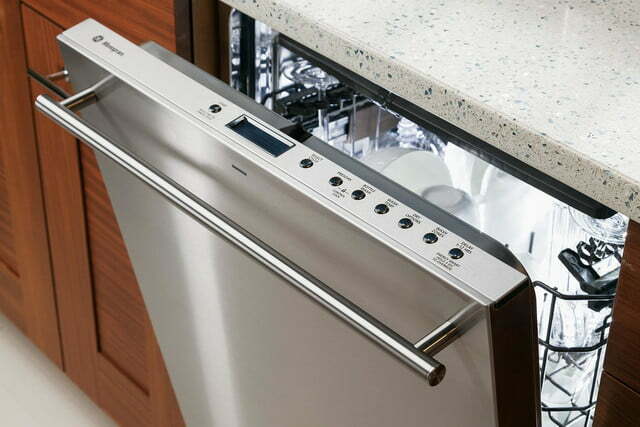 Say goodbye to beeps and buzzers – GE’s new Monogram Series dishwasher plays an original classical piano score for notifications. Why? Because luxury, that’s why. 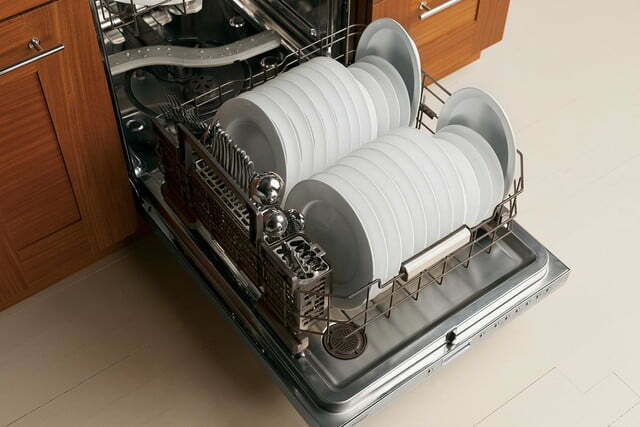 Do you need a dishwasher with it’s own classical piano score? Probably not. Do you want one? Absolutely. You might not realize it yet, but just think about how gangster it’ll be when you’re giving your guests the MTV Cribs tour of your pad and somebody asks “is that Beethoven I hear?” to which you’ll promptly reply, “nah dawg, that’s my dishwasher!” Pure floss. 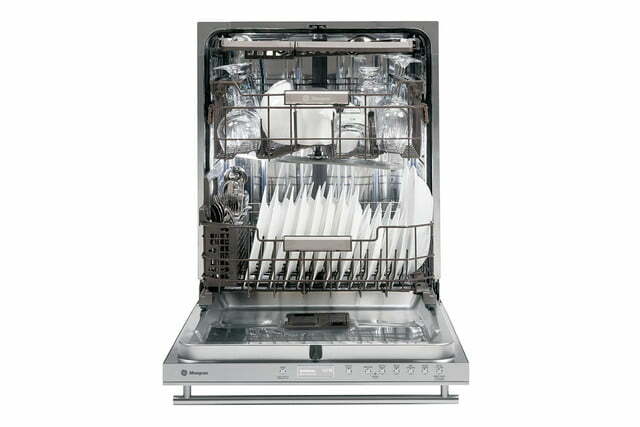 All joking aside though, the Monogram series dishwasher is one of the most decked-out appliances we’ve come across. 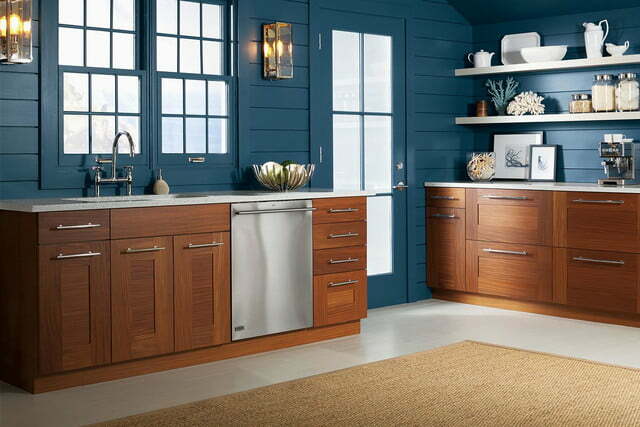 On the outside, it sports a clean, brushed stainless steel exterior devoid of buttons and displays. To control it and set the cycle, just pop open the door slightly to find the control panel. Under the hood it’s even more impressive. 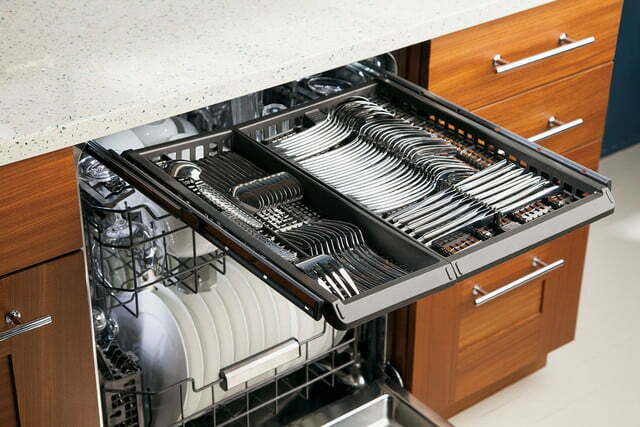 To clean your dishes faster and more efficiently, this badboy has 54 percent more cleaning jets than any other luxury dishwasher – including ones designed specifically to clean the insides of wine glasses, champagne flutes, and other tricky-to-wash glassware. If you’re like us and you’re tired of cleaning up after your swanky bi-weekly wine and cheese parties, this is a must. And the flossy features don’t end there. 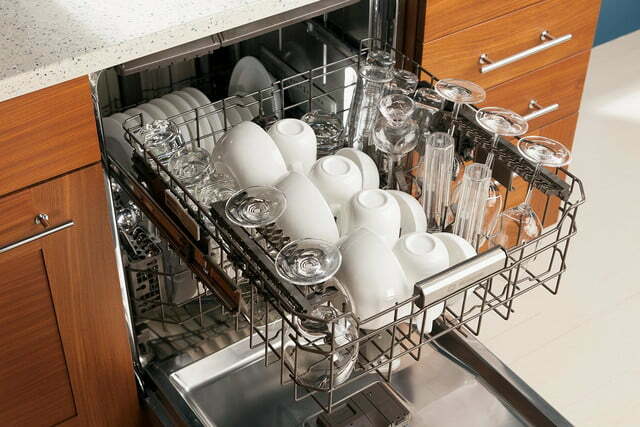 In addition to the special drinkware nozzles, the Monogram dishwasher features interior LED theater lighting to ease the loading and unloading process, a new third rack designed to accomodate cutlery and other flat kitchen utensils, and a powerful multi-speed fan for insanely fast drying. GE expects to release this beast into the market sometime in February 2o14 with an MSRP of $1800. 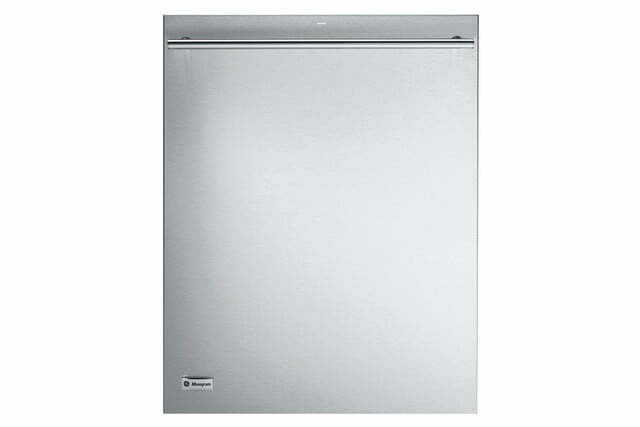 A bit steep for a dishwasher, but you might be able to find it for cheaper at the right retail location. Find out more on GE’s website, and click here if you want to hear audio samples of the dishwasher’s classical piano tunes..